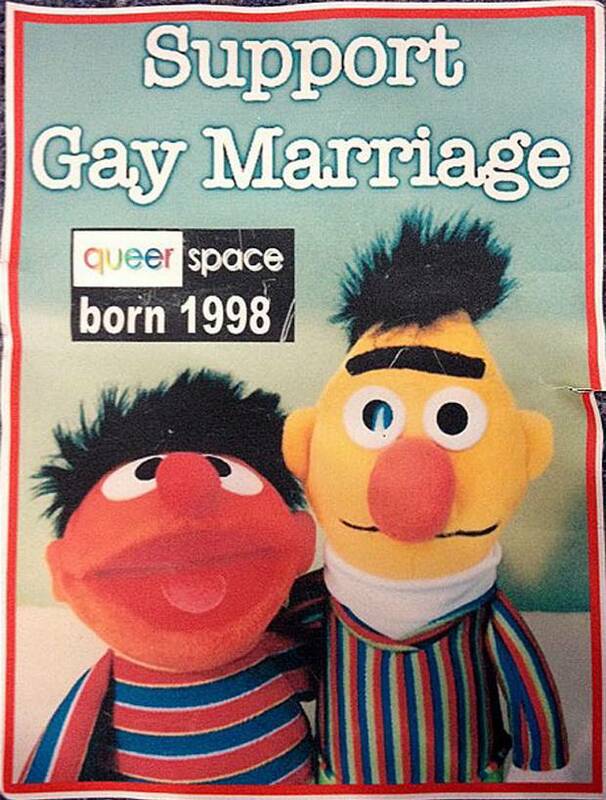 The Ashers bakery cake case in which the bakery owners refused to bake a cake for a gay organization that would include an inscription promoting gay marriage has been going on for well over a year now. What I wrote about it one year ago still appears perfectly pertinent, but things have moved on and now it is all coming to a head. There is a lot of stuff on the Internet, detailing the present state of play. Both Christian Concern and the Christian Institute have written recently on the matter, albeit more from a pro-Asher perspective, although there is a lot else around giving a neutral or anti perspective, and I refer readers to this. As I write, the Appeal hearing against the earlier conviction that the Ashers had broken the law regarding discrimination, has finished and we now await the Appeal Court’s verdict on the matter. Since the case came to light, many have added their two penneth on what should happen next. One of the more surprising comments on the case came from gay rights activist Peter Tatchell, who wrote: “like most gay and equality campaigners, I initially condemned the Christian-run Ashers Bakery in Belfast over its refusal to produce a cake with a pro-gay marriage slogan for a gay customer, Gareth Lee. I supported his legal claim against Ashers and the subsequent verdict – the bakery was found guilty of discrimination last year. Now, two days before the case goes to appeal, I have changed my mind. Much as I wish to defend the gay community, I also want to defend freedom of conscience, expression and religion”. I was inclined initially not to raise the matter given I have already blogged several times on “culture war” issues and while there is a small minority that are with me on this, the majority, including Christians who are articulate and influential, find it at least mildly irritating and would rather I confine my attentions to social justice matters, being nice to minority groups and doing good. But I was quite touched that in our church prayer time yesterday, our youngest member raised this case as a matter for prayer and it occurred to me that I owed it for people like her to keep blogging away and making people realize the consequences for all of us if people like the Ashers continue to bear the brunt of unfavourable court decisions because of acting according to their conscience. I do not doubt that gay people have gravely and wrongly suffered in the past because of discrimination, and it is right that the law has changed to help protect against future occurrences. But this is NOT discrimination. I understand the sticking point for the Ashers was not baking a cake, even with the logo, which they would have done gladly regardless of the sexual orientation of the one making the order, but they could not in conscience write a statement that flew in the face of a lot of what they believed. Granted some Christians who hold similar views may have gone ahead, including me, but it is a cardinal principle for people like me and the Ashers to follow what we believe is right before the Almighty. While persecution may be good for the soul, I’m pretty sure that people like the Ashers would rather not be embroiled in damaging litigation and get on with the business of serving their maker and then in turn the poor and disadvantaged. I believe now, more than ever, we need Christians speaking truth in the public square and NOT Orwellian Newspeak. I am gay and I am not a Christian. I do not believe that Christians should be allowed to withhold services from gay people just because they do not agree with their ‘lifestyle’ (nor do I think anyone should be able to withhold services from Christians, because of their lifestyle either). However this is not the case here. These people were being asked to bake a cake with a slogan on it which they profoundly disagreed with. If I were a baker, I would not wish to be asked to bake a cake with a slogan on it like ‘Hitler was right” or ‘expel all Muslims from the UK’ or anything else which I profoundly disagreed with. It’s a delicate balancing act – but one where we all must exercise care and understanding. You can’t have a society which is just and fair, where you can refuse to serve people just because you disapprove of them – if a customer you know is a member of the National Front, or a Roman Catholic or a member of the aristocracy – but political slogans – here I think freedom of conscience is the winner – so I must agree with Peter Tatchell.